Today I’m thrilled to be joined by 13 other amazing bloggers for our Christmas Cookie Exchange. We all baked a batch of cookies or treats and swapped blogs to share our recipes. 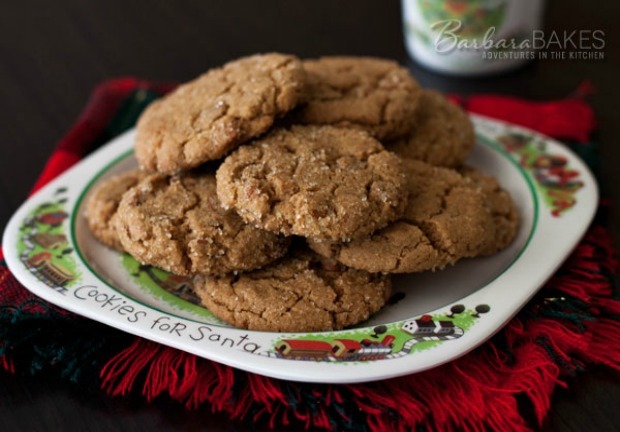 I’m honored to have Barbara from Barbara Bakes sharing her Soft Ginger Snap Cookies with you! You can find my Chocolate Strawberry Truffles over at Sweet Sugarbelle’s! A soft molasses cookie with warm winter spices, cinnamon and ginger, and studded with cinnamon chips for an extra layer of cinnamon deliciousness. Thanks Liz for inviting me to share a cookie recipe on Hoosier Homemade as part of our Virtual Christmas Cookie Exchange. I’m Barbara and you’ll find me baking sweet treats and more on Barbara Bakes and pressure cooking quick, delicious family meals on Pressure Cooking Today. My daughter was visiting recently. She’s eight months pregnant and was craving something sweet, so we whipped up these scrumptious soft ginger snap cookies. She has fond memories of eating ginger snap cookies this time of year. We like our ginger snaps soft, not the hard crunchy ginger snaps you buy in the grocery store. Since I’d stashed away several bags of cinnamon chips in the pantry, we decided they’d be the perfect addition to our soft ginger snap cookies. If you haven’t tried cinnamon chips yet, they’re basically a white chocolate chip spiced up with cinnamon. Cinnamon Chips can sometimes be hard to find. Hershey’s makes them and they’re often only available in stores in the fall and winter. You can buy them online through Amazon or King Arthur Flour. If you’re adventurous, you can even make cinnamon chips at home. Renata at Testado, Provado & Aprovado did a delicious post about how easy it is to make cinnamon chips. These cookies would also be delicious with semi-sweet chocolate chips, white chocolate chips, or even with no chips at all and a tall glass of cold milk. Enjoy! Thanks so much Barbara! This recipe looks amazing! 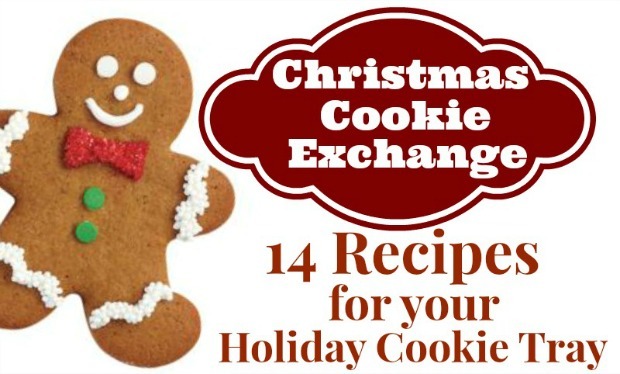 For more recipes to fill your cookie tray – visit these bloggers! Preheat oven to 350°. Line baking sheets with parchment paper or silpats. Whisk together flour, baking powder, baking soda, cinnamon, ginger, and salt; set aside. In a large mixing bowl, beat butter and sugar on medium-high speed until pale and fluffy. Add egg; beat until well blended. Mix in molasses and vanilla. On low speed, mix in flour just until blended. Stir in cinnamon chips. Shape dough into 1 inch balls; roll in sugar. Place 2 inches apart on baking sheet. Flatten cookies slightly with a flat bottom cup or mug. Bake 8-10 minutes until cookies are light brown around edges and tops crackle. Transfer to a wire rack to cool. Gosh I thought I had left a comment here yesterday……….cinnamon chips and gingersnaps sure sound like a winning combination to me! I always have cinnamon chips at the ready in the freezer so I’m looking forward to making these. All of you great cookie bakers are making my Christmas Cookie baking list very easy this year. Hi Carol, both of your comments are here. Because I love ginger in my ginger snaps, I think I may try minced candied ginger instead of cinnamon chips. I like how these crackle…how does that occur ? 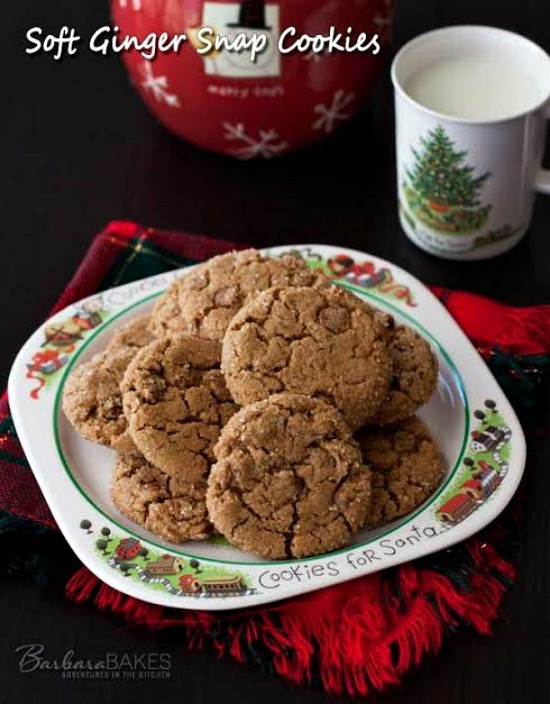 Gingersnaps with cinnamon chips-who could ask for anything more? Not me! Why have I never thought of putting cinnamon chips in gingersnap cookies before? Brilliant idea! I’m sure it tastes amazing–can’t wait to give these a try! Just picked up a bag of cinnamon chips at the store – now I know how I will use them!